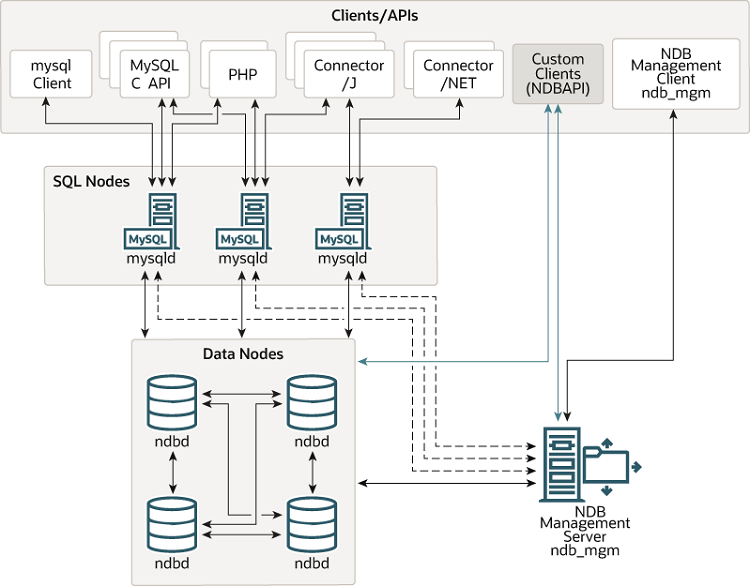 Backing up and restoring NDB Cluster databases can be done using the NDB-native functionality found in the NDB Cluster management client and the ndb_restore program included in the NDB Cluster distribution. For more information, see Section 18.5.3, “Online Backup of NDB Cluster”, and Section 18.4.22, “ndb_restore — Restore an NDB Cluster Backup”. You can also use the standard MySQL functionality provided for this purpose in mysqldump and the MySQL server. See Section 4.5.4, “mysqldump — A Database Backup Program”, for more information.